Let me introduce to you DILLIGAF Racing Team and the ‘Moody Mobiles’ ridden by veteran racer Steve Moody. This is the story of the team and their journey to race on the world famous Isle of Man 37.73 mile TT Mountain Course Circuit. The Manx Grand Prix first started in 1923, as a replacement if the TT Races were moved off the Island. Started by the Manx Motorcycle Club, the race was originally named the ‘Amateur TT’ and used the TT Mountain Course over 5 laps. Raced by non professionals, but the term ‘Amateur’ really meant that the rider and stock machine had no manufacture support or reward. The first race had 33 entries. The winner of the Seniors Race received a trophy donated by the Mayor of Douglas which is still presented to the winner today. The Amateur TT was renamed to the Manx Grand Prix in 1930 and became a National event in 1967. 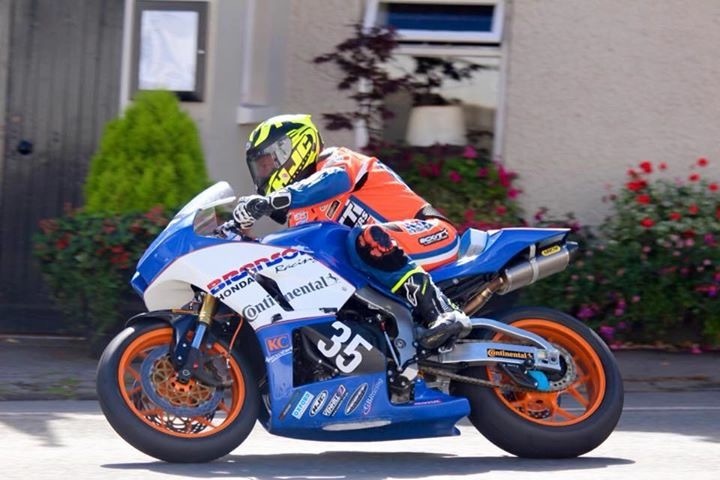 Festival races include The Newcomers Race, 350cc/ 250cc Classic Grand Prix Race, 500cc Classic Grand Prix Race, Supertwin/ Lightweight Grand Prix Race, Classic Superbike / Junior Grand Prix race and Senior Manx Grand Prix Race. The Manx Grand Prix will celebrate its 90th Anniversary in 2013. The Manx GP, held in August each year, alongside the Classic TT, runs on the world famous TT Mountain circuit.